The campaign is aiming at increasing awareness of the potential impact on local native species by exotic pets. The two may seem far removed but it's becoming increasingly obvious that exotic pets, especially amphibians and reptiles, can expose native species to new virus and fungal diseases and can even cause local mass mortalities. This campaign has been designed to improve awareness and education in terms of biosafety for the benefit of public health and nature conservation. In the last decade, there is been a dramatic decline in amphibian and reptile populations in Europe. Many studies reveal that viral, fungal and fungal-like diseases are responsible for these mass mortalities. Human activities such as pet trade (both legal and illegal trade), research and tourism play an important role in the spread of these diseases. Pet owners, with particular attention to reptiles and amphibians, spend high amounts of money in pet care. On the other hand, exotic pets may carry diseases, and these diseases can be spread accidentally (escapes) and voluntary (releases) becoming the main reasons to the reduction of European reptile and amphibian species populations. Thus, two very different realities coexist; the attention and care paid to pets, whereas the local species are declining as a result of the latter. 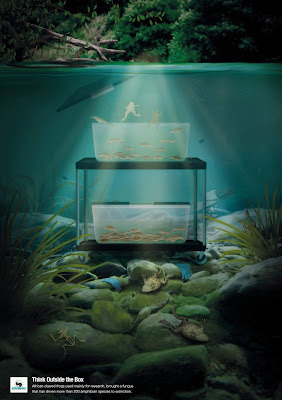 Cross contamination can happen so easily, not just through escapes but disposal of vivarium substrate into waste destined for landfill or the water from your tropical fish tank (which may have frogs in it) into the general sewer system both of which risk exposing the natural environment. Researchers are not exempt either the Campaign Team are highlighting the risk of contaminated research equipment. 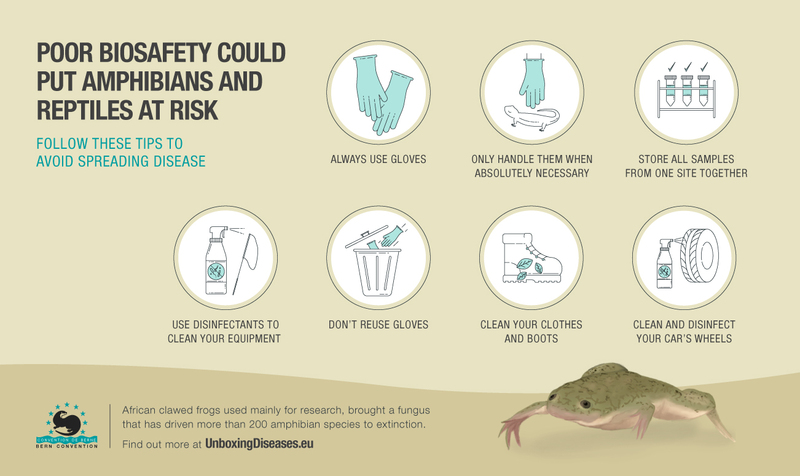 It's been shown that African clawed frog (Xenopus laevis) which is often used in research projects can carry the Batrachochytrium dendrobatidis fungus which has caused mass mortalities of Common toad (Bufo bufo) in Europe; simple use of the same dip nets or holding tanks is all it takes and remember to clean and disinfect your boots and car tyres too!